Count on WestAir to deliver your gases on-time, after hours and in emergencies. WestAir Gases & Equipment provides specialty & industrial gases like nitrogen, argon and CO2 to a wide range of businesses including labs, biotechs, metal fabricators, restaurants, bars & breweries. WestAir provides liquid & compressed gases in cylinders & dewars. 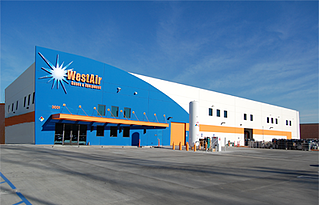 Since 1970, WestAir has made sure companies have their gases when they need them. Automated Cylinder Management makes it easy to do business. Also, look to WestAir for green & cost-effective bulk gas solutions. 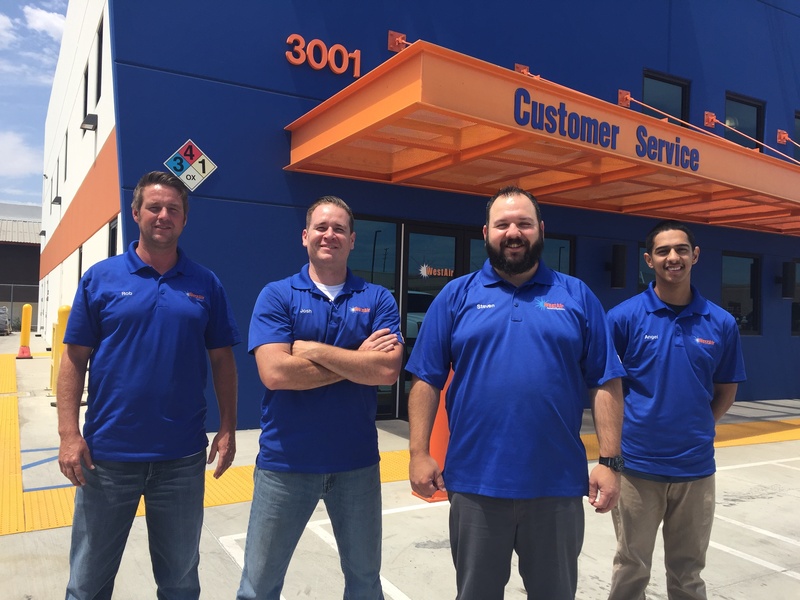 Located behind Time Warner and next to Canyon Power Plant within an industrial community, the WestAir Anaheim store can address all your gas, welding and safety product needs. Rob Hughes, Inside Sales and Purchasing Associate, enjoys surfing, rollerskating and outdoor adventures. Josh Teran, Warehouse Associate, plays the guitar and the keyboard and also enjoys playing video games. Steven Prickett, Branch Manager, enjoys playing golf and being with friends and family. Angel Zaragoza, Inside Sales Associate, likes to skateboard, travel and cook. Tell your colleagues and friend about your experince with WestAir Anaheim. Visit the WestAir Anaheim Google Review page. © 2019 WestAir Gases & Equipment Inc.